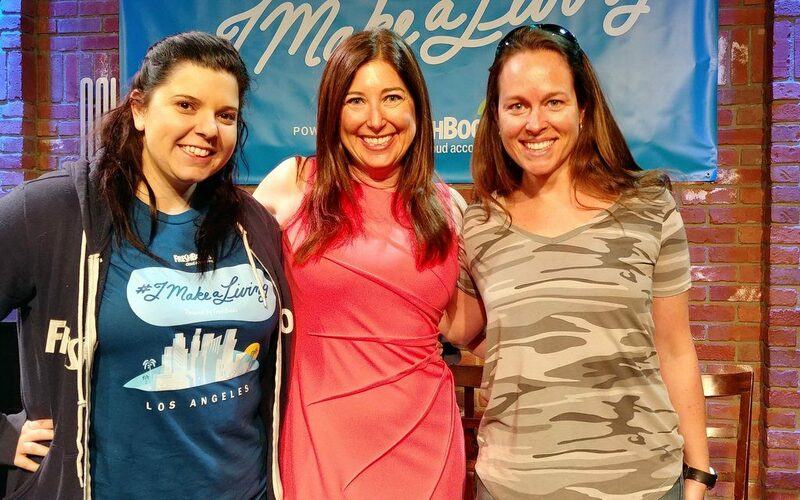 Did you see Lisa Niver at the Hollywood Improv? 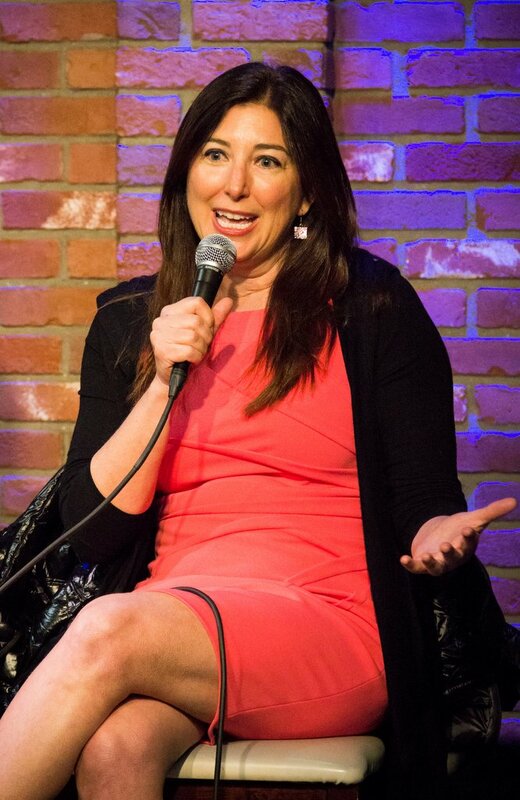 Did you see me at the Hollywood Improv? Don’t worry! I have the whole thing on video for you! Running a small business is rewarding. But let’s be honest: It can also be challenging. Why not lean on others for support? 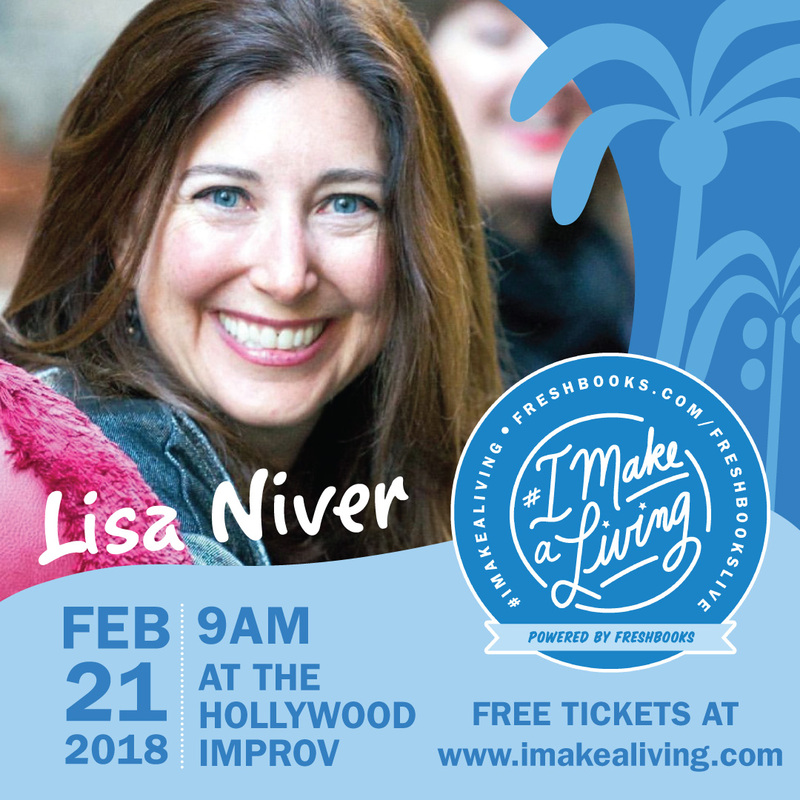 The #IMakeaLiving event is here to help! 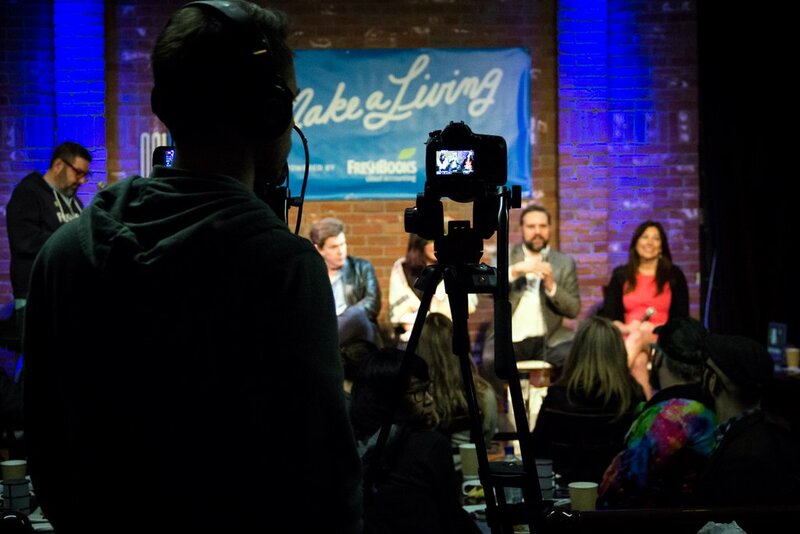 The #IMakeaLiving events bring together an eclectic group of small business owners for a lively, candid, and often hilarious, conversation. Part small business boot camp, part group therapy, you’ll leave feeling inspired and motivated. Plus, you’ll get lots of actionable insights to take you and your business to the next level. It’s free (yes, FREE) to attend and we’d love to see you there. (And, no, this isn’t one of those events that’s actually a sales pitch). Learn more at We Said Go Travel and Lisa Niver. 3x Finalist! 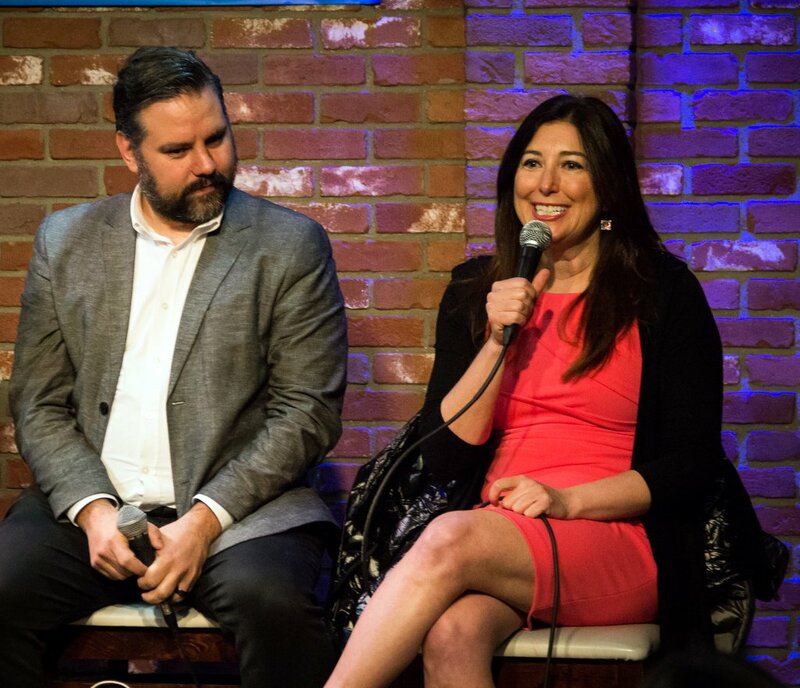 What are the SoCal Journalism Awards? I hope that your Valentine’s wishes came true! I spent the week in Utah with some of my favorite people. We skied, we dined and we laughed! Photos and restaurant suggestions coming soon! On Valentine’s Day, I received the gift that We Said Go Travel was listed as #9 in the top 1000+ Travel blog list! I have been telling you about Daymond John‘s new book and the need to Rise and GRIND! I am thrilled to report that my hard work is paying off and people are noticing We Said Go Travel! I was on The Good Life radio show talking about travel with Mike Wreyford. 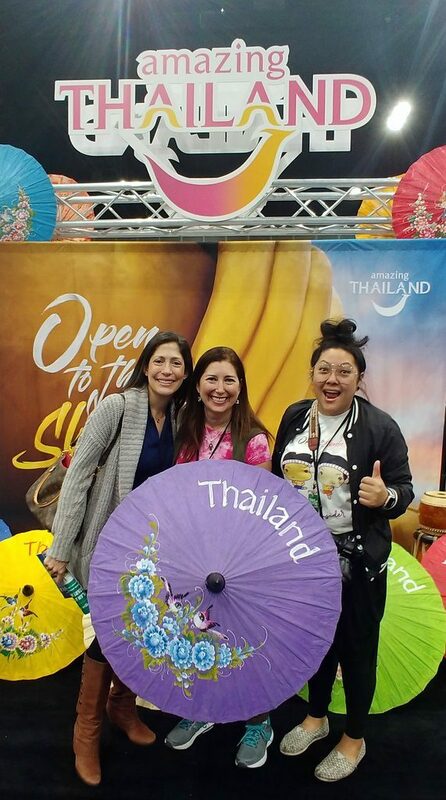 I also went to the Travel and Adventure Show. See below for my one minute video of where to go next! Did you see me on TV? I did a travel segment about Ogden, Utah. 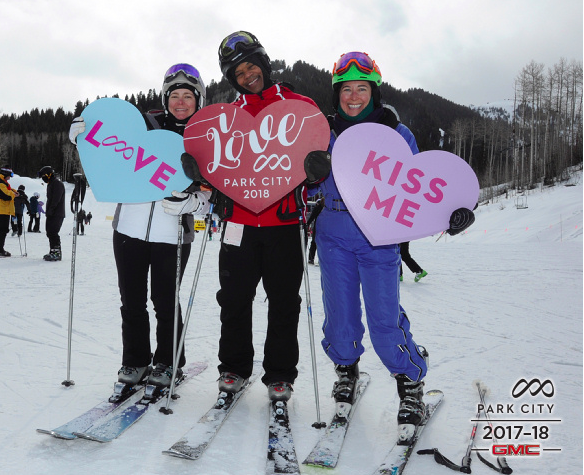 I hope you entered the Valentine’s Getaway Giveaway! 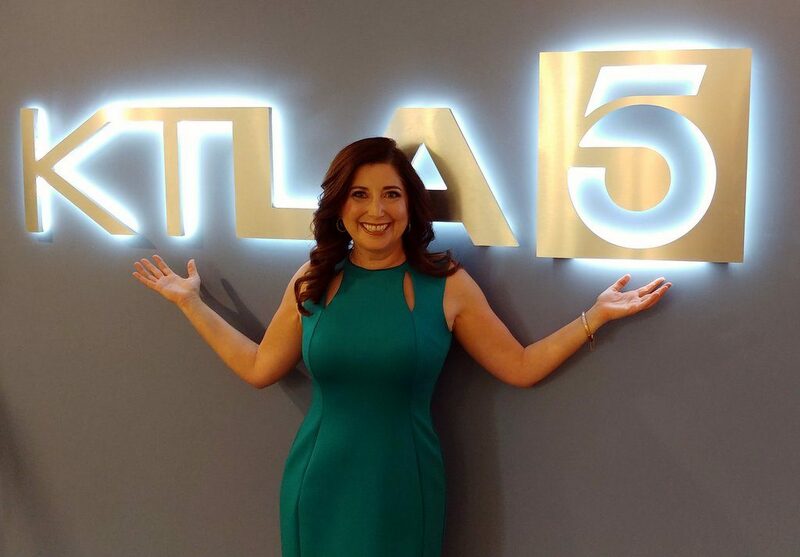 CLICK HERE to see me on KTLA! Find all my article links on my LisaNiver website. WHERE CAN YOU FIND MY TRAVEL VIDEOS? Here are links to my video channels on YouTube, Amazon Fire Tv, and Roku Player. My total video views across all platforms is now over 1,676,919 (1.6M)! ! Thank you for your support! What should I do to celebrate when I get to 2MILLION views? Video #755: Sky Diving for my birthday with GoJump Oceanside! Video #762: How Do You Create Freedom On The Mountain? Video #763: Five Star Luxury Dreams Come True in Vegas! 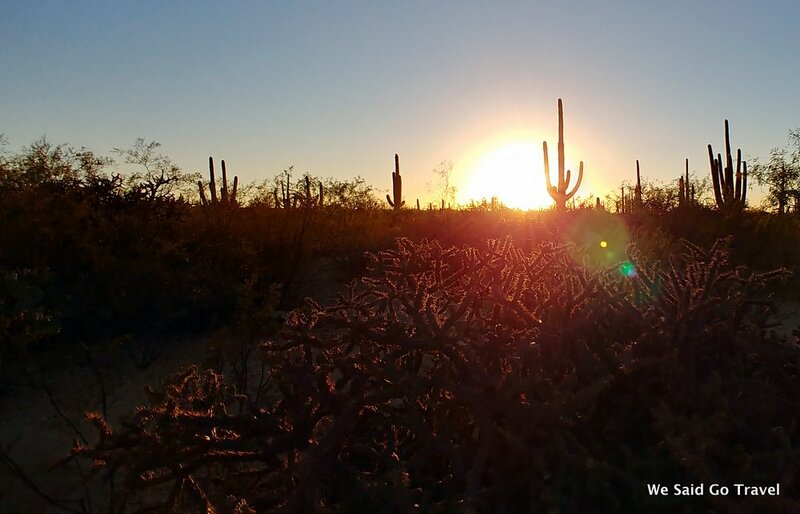 Video #765: What will you see at the Los Angeles Travel and Adventure Show? Discover more on my social media accounts: Instagram, Facebook, Twitter, Pinterest, YouTube, and at LisaNiver.com. My social media following is now over 90,000 and I am verified on both Twitter and Facebook. We are now publishing the entries from our Travel Photo award! After all the entries are published, we will announce the winners. This will take several months. Thank you to everyone who participated and to our judges, Gary Arndt from Everything Everywhere and Jeana from Surf and Sunshine. We hope you will submit a photo in our next award. Want to make your own video? Use code WESAIDGO10 for 10% on your project. Lisa loves working with EpicMakers and they were a sponsor for our first Travel Photo Award. Thank you to everyone who has participated in our 13 We Said Go Travel Competitions! Find the winners for all of them here. We hope you will participate in our 2018 Awards. 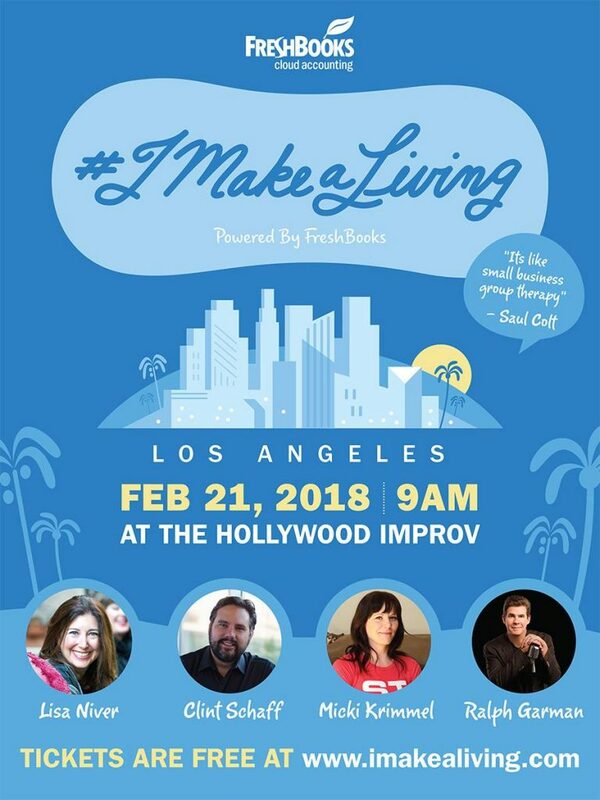 Will I see you WEDS at the IMPROV for #IMakeALiving? 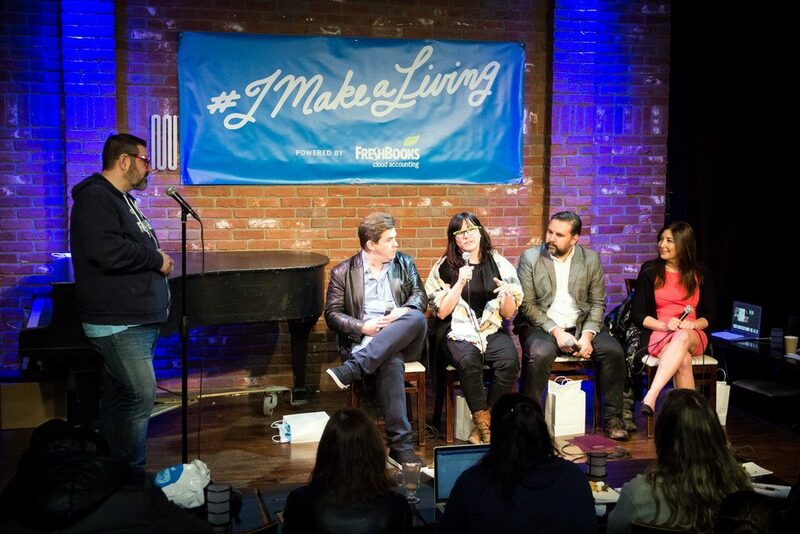 for Freshbooks #IMakeALiving Small Business Group Therapy! Ralph Garman – Radio star turned podcast celebrity. Ralph Garman has been a fixture and a star on Los Angeles radio for almost two decades. For over 18 years, Ralph reached over one million listeners a day on the highly-rated KEVIN AND BEAN SHOW on the World Famous KROQ-FM. Serving as the show’s resident pop culture expert, celebrity impersonator and character voice actor, his entertainment news report THE SHOWBIZ BEAT was a highlight of the program. Lisa Niver – Travel Journalist Extraordinaire. After exploring 99 countries and sailing for seven years on the high seas, Lisa Niver is ready for more active adventures! She was a winner in the 59th annual 2017 Southern California Journalism Awards for her print column in The Jewish Journal. 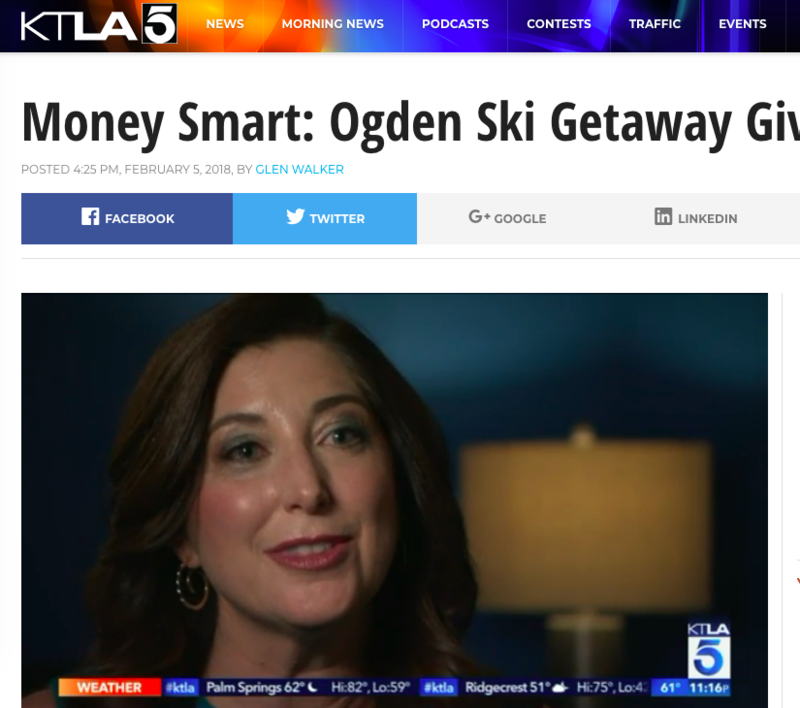 Find her talking travel on KTLA TV and her We Said Go Travel videos with over 1.5 million views on Roku, Amazon Fire TV and YouTube. Micki Krimmel is an award-winning serial entrepreneur, marketing specialist, and world class roller derby athlete. Her work has been featured in The New York Times, INC Magazine, Forbes, Oprah Magazine, and Entrepreneur Magazine. Micki believes that strong and confident women can change the world and she’s helping them do that with her new premium line of size inclusive activewear, Superfit Hero. Clint grew up in a town of 15,000 in North Dakota. In the last 17 years, he’s worked for David Bowie, was a writer for the Yankees, worked at the Clinton-Gore White House, participated on a NBC reality show andwon the award for most effective marketing communications for his work on Call of Duty. He now works as the head of exciting new projects at the LA Times. MC: Saul Colt – Founder of the Idea Integration Company, and long time FreshBooks fan. Saul has been named as one of the iMEDIA 25: Internet Marketing Leaders & Innovators as well as been called one of Canada’s best community builders/experiential marketers. NYT best selling author and internet pioneer Chris Brogan once referred to Saul as ‘exactly who you want representing your company’ and that message has been echoed by media properties ranging from Inc to Forbes Magazine. 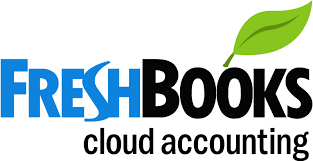 FreshBooks is the #1 cloud-based accounting software designed exclusively for service-based small business owners. The company has helped more than 10 million people process billions of dollars through its easy-to-use invoicing, expense management, time tracking, and online payments features. Recognized in 2014 with six Stevie awards for best customer service in the world, the company’s mantra is to “execute extraordinary experiences everyday.” Based in Toronto, Canada, FreshBooks serves paying customers in 120 countries. I was thrilled to tell you in December that We Said Go Travel was read in 222 countries in 2017 and even more excited for my January NEWS! 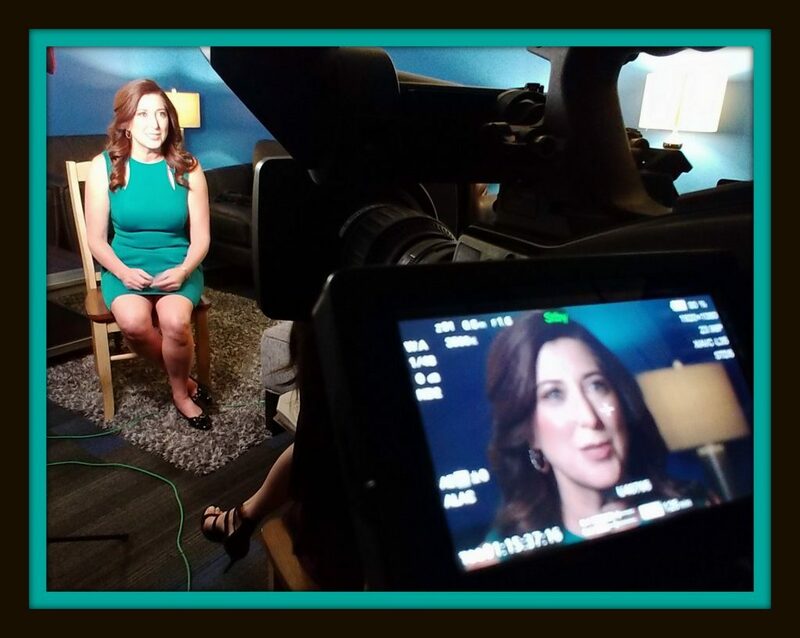 Watch me on KTLA 11pm news TOMORROW Friday night! I will also be talking about Ogden, Utah on the news on Saturday and Monday afternoon. Check the We Said Go Travel website and social media on Monday for a link to the segment and how to enter the “Giveaway Getaway!” I loved my visit to Ogden and hope you will be the one to win the prize! Here is a link to my Napa KTLA TV segment from November. 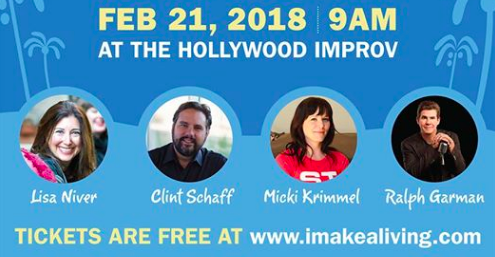 Please come see me LIVE at the HOLLYWOOD IMPROV on Feb 21 at IMakeALiving by Freshbooks. Tickets are free but going quickly so RSVP today on eventbrite. In January 2018, my videos were watched over 76,000 times! Here are links to my video channels on YouTube, Amazon Fire Tv, and Roku Player. My total video views across all platforms is now over 1,600,000 (1.6M)! ! Thank you for your support! What should I do to celebrate when I get to 2MILLION views? 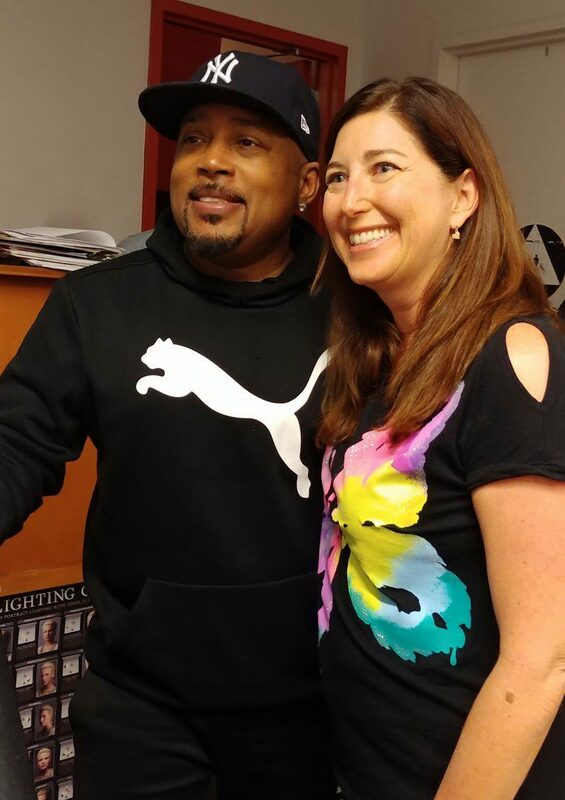 I was lucky to meet Daymond John in person at his book talk at Live Talks Los Angeles and learn about his new book, Rise and Grind. Remember to make goals and take the steps to make your dreams come TRUE! Discover more on my social media accounts: Instagram, Facebook, Twitter, Pinterest, YouTube, and at LisaNiver.com. My social media following is now over 85,000 and I am verified on both Twitter and Facebook.